Little’s Summer Fun Art Camp: This week will be filled with fun and creativity! A canvas painting, a printing project, some fun messy pastels and a giant cup cake collage are all in the plan! Good (messy) Fun! 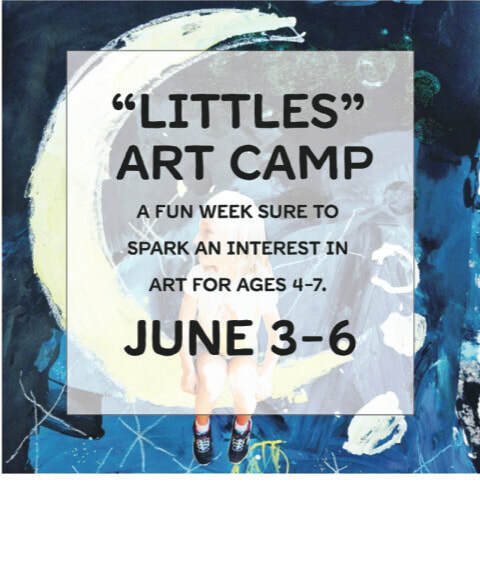 What to know: Littles art camp ages 4-7 the dates are June 3-6, classes are 90 min. long each day, you can choose the morning class from 9:00-10:30am OR the afternoon class from 2-3:30pm.